Prices as low from RM10 onwards at Brands Outlet ! 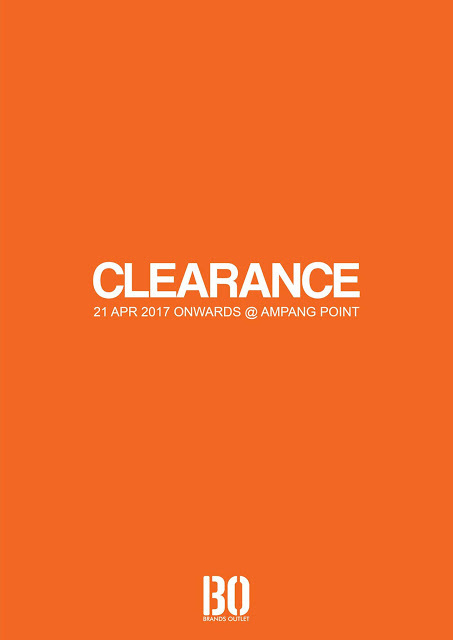 Brands Outlet Ampang Point Clearance Sale is happening on this April 2017 with offering prices as low from RM10 onwards while stock last ! 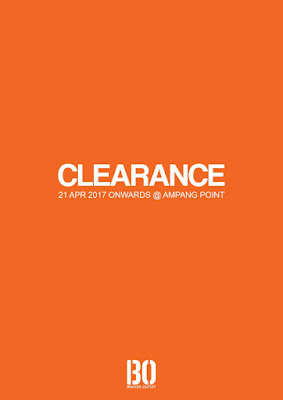 Venue: Brands Outlet Ampang Point KL outlet only.